Let the snake crafts continue! Yesterday I shared this easy twisty snake sculpture. 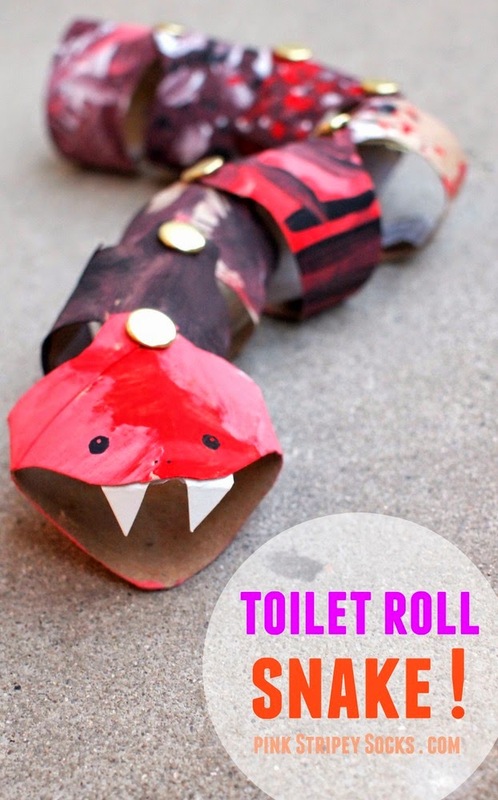 Today I wanted to show how we made this cardboard toilet roll snake... that actually moves! When thinking up this craft, I wasn't sure exactly how to make the snake move. So I fiddled around with the toilet paper rolls. Still no luck. Then, Chuck and I watched a couple of snake slithering videos on YouTube. Now it's not perfect, but the snake will look like it's moving if you swing it around. 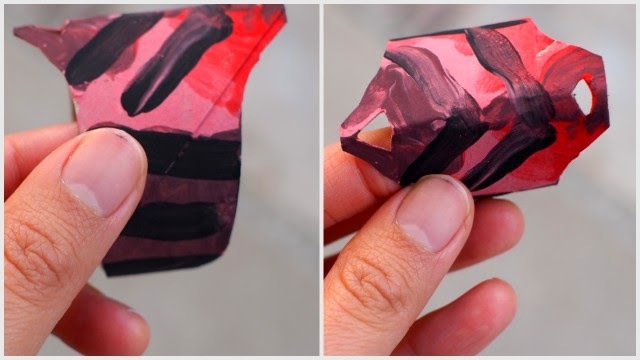 The sides are curved to allow each piece to move. 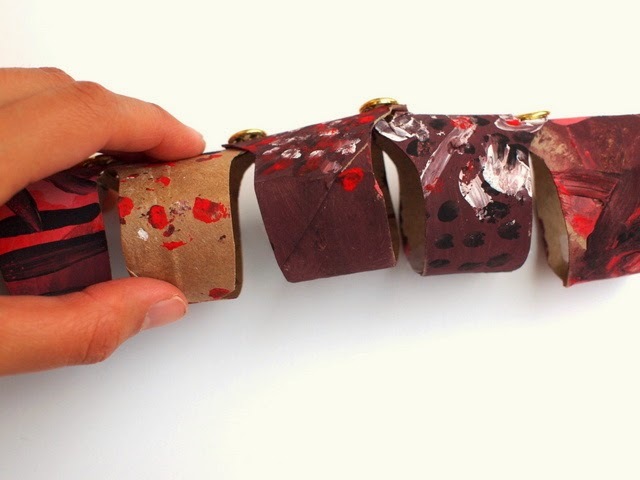 The holes on top allow paper fasteners to connect the body together. And then we just taped in some fangs! 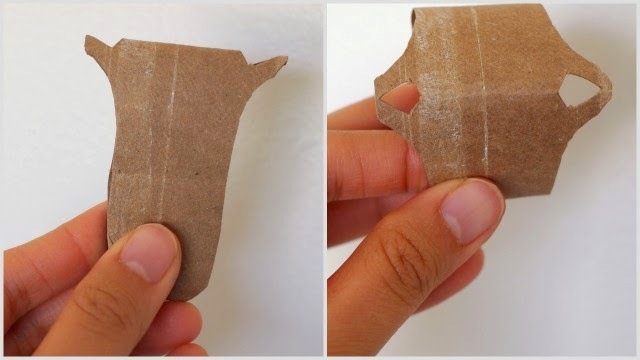 Hope you have fun making a cardboard snake of your very own! This was a great art, science, and engineering activity too. We painted, talked about how snakes moved, and also noticed how the coins inside each segment properly weighed the snake down. 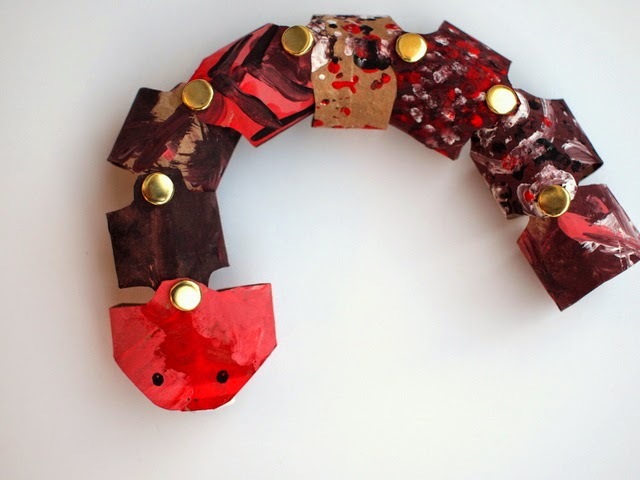 And if you liked this craft, you can always find more toilet roll crafts on the blog too! Like this idea? You can always find other fun ideas on my Pinterest, Facebook, Instagram, or Twitter accounts! Or, sign up for the weekly newsletter in the pink bar at the top of the site.